November 6 – In a landmark case that is potentially pivotal to UEFA’s efforts to force clubs to balance their books or suffer the consequences, Paris St Germain’s ongoing dispute with European football’s governing body over financial fair play is going all the way to the Court of Arbitration for Sport (CAS). PSG have filed an appeal to CAS against UEFA’s reopening of its investigation into their finances – four months after they were cleared of breaching the rules. 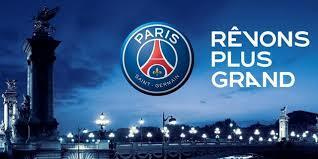 PSG have been on UEFA’s radar ever since they were bought by Qatar Sports Investments. They were fined in 2014 along with Manchester City when a sponsorship deal with the Qatar Tourism Authority was deemed to have an unfair value and were also ordered to trim their squad in European competition for a season. UEFA’s scrutiny became even more pronounced when PSG paid out a €200 million+ fortune to sign Brazilian superstar Neymar, doubling the world record transfer fee, as well as investing just under €200 million French teenage sensation Kylian Mbappe after he initially joined on a season-long loan from Monaco. Compliance with FFP is conducted by UEFA’s Club Financial Control Body (CFCB) and in June it decided to close its probe into PSG having found that the club satisfied FFP regulations between 2015 and 2017. Crucially, however, it added that the break-even requirement for the 2018 financial year would remain “under close scrutiny” and in September, following PSG’s heavy summer spending spree, the case was sent back to the CFCB’s investigatory chamber for “deeper investigation”. This is what PSG is now contesting at CAS. Co-incidentally news of PSG’s appeal comes just days after Der Spiegel published claims of how its Qatari owners used certain tactics to lessen the club’s punishment four years ago. The CAS case will be a crucial test of UEFA’s ability, under Aleksander Ceferin’s leadership, to act against powerful individual clubs if it believes there is evidence, or even suspicion, of its spending rules being breached. In a statement CAS refused to provide any details simply saying: “The Court of Arbitration for Sport has registered an appeal filed by the French club Paris Saint-Germain Football SASP against a decision rendered by the European Football Association (UEFA) in September 2018. For their part, PSG, increasingly desperate to justify their spending by finally landing the Champions League title, have consistently denied all claims of any wrongdoing saying they have at all times complied with UEFA regulations.